I've had some Crescent beads for quite some time but never really played with them until now. I love the way they look when stacked together to make this simple bracelet using Crescent beads, Miyuki rocaille seed beads and 6x6mm Czech 2-hole Tile beads. 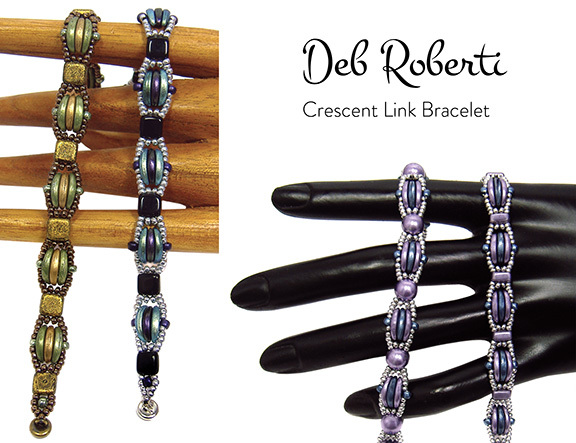 For a wrap bracelet, simply triple or quadruple the length of the bracelet and the number of beads used. *You can, of course, use just one color of Crescent beads or three different colors. Leaving about a 10-inch tail for attaching the clasp, string an 11/0 seed bead, an 8/0 seed bead and an 11/0 seed bead. Holding on to the end of the thread, go up through the right hole of a Tile bead, around and down through the left hole of this same Tile bead. Step 3: String four 11/0 seed beads, a Color1 Crescent bead, a Color2 Crescent bead, a Color1 Crescent bead and four more 11/0 seed beads. Step 5: String two 11/0 seed beads. NOTE: You may need to push the two new 11/0 seed beads into place in between the existing 11/0 seed beads on either side. Step 10: String four 11/0 seed beads. Go up through the left hole of a new Tile bead, around and down through the right hole of this same Tile bead. String four more 11/0 seed beads. Step 13: String four 11/0 seed beads, a Color1 Crescent bead, a Color2 Crescent bead, a Color1 Crescent bead and four more 11/0 seed beads. Step 15: String two 11/0 seed beads. NOTE: Again, you may need to push the two new 11/0 seed beads into place in between the existing 11/0 seed beads on either side. Step 20: String four 11/0 seed beads. Step 24: To one end of your clasp, string an 11/0 seed bead, an 8/0 seed bead and an 11/0 seed bead. Step 27: String three 11/0 seed beads. Step 28: String two 11/0 seed beads. Step 31: String an 11/0 seed bead. Step 32: String another 11/0 seed bead. 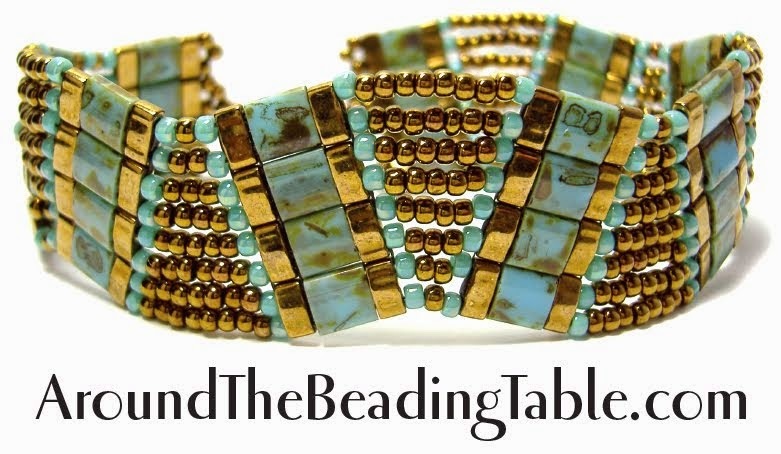 Use your extra tail thread to go back through the beads along the outer edge of both sides of your bracelet. 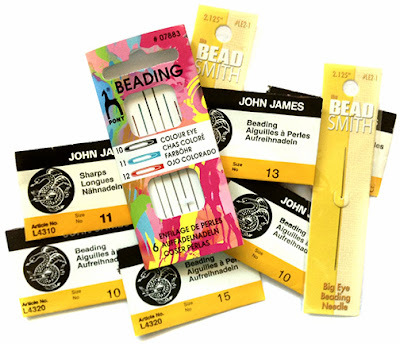 This will help straighten out any seed beads along the motif edges that seem wonky. Step 33: To attach the clasp to the other end of your bracelet, thread your needle with the tail thread from Step 1.